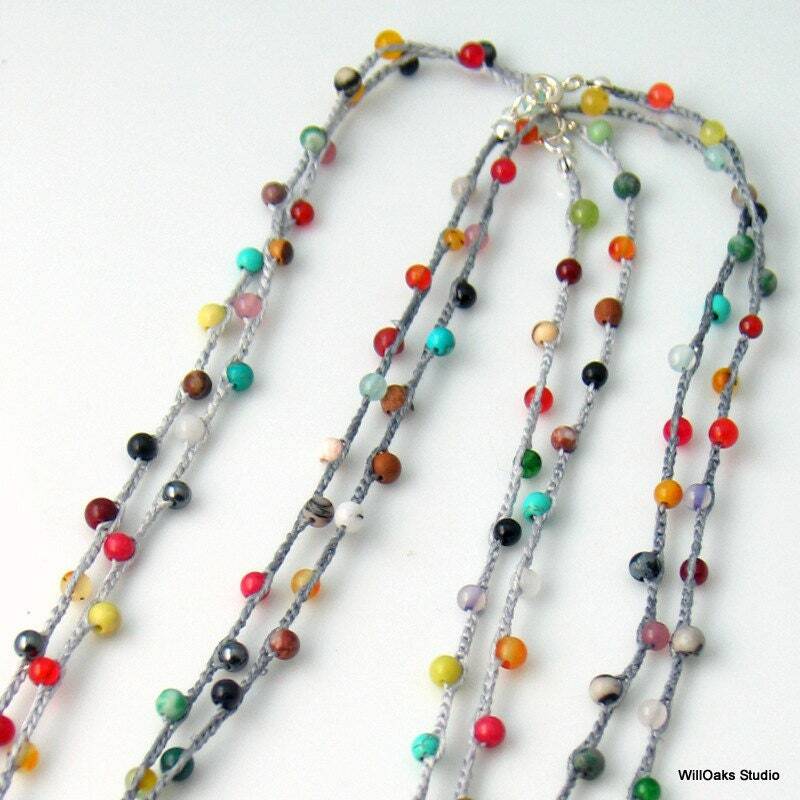 A silken crochet chain, 34" long, that captures mixed colorful quartz, Jasper and agate beads for a mixed gemstone and silk treasure to wear long or layered, clustered on your wrist or mixed with other chains. Channel your inner Hippie and indulge in carefree colorful fashion. The fiber and stone construction is so soft, light as a feather, and drapes like a dream. The silk chain is hand washable with mild soap and will give years of wear. In fact, this particular silk yarn becomes glossier and more supple with wear and a few washings! Comes to you wrapped in tissue nestled into a velvet bag which is perfect for storage and gifting. Includes silver plated brass findings-bead tips, clasp and ring. If you wish to also wear your chain as a wrap cuff, please include your wrist measurement in "notes to seller" at check out so that I can tweak the final length for a good fit for you. Listed as 34" here will fit a wrist 6.5" wrapped 5 times. 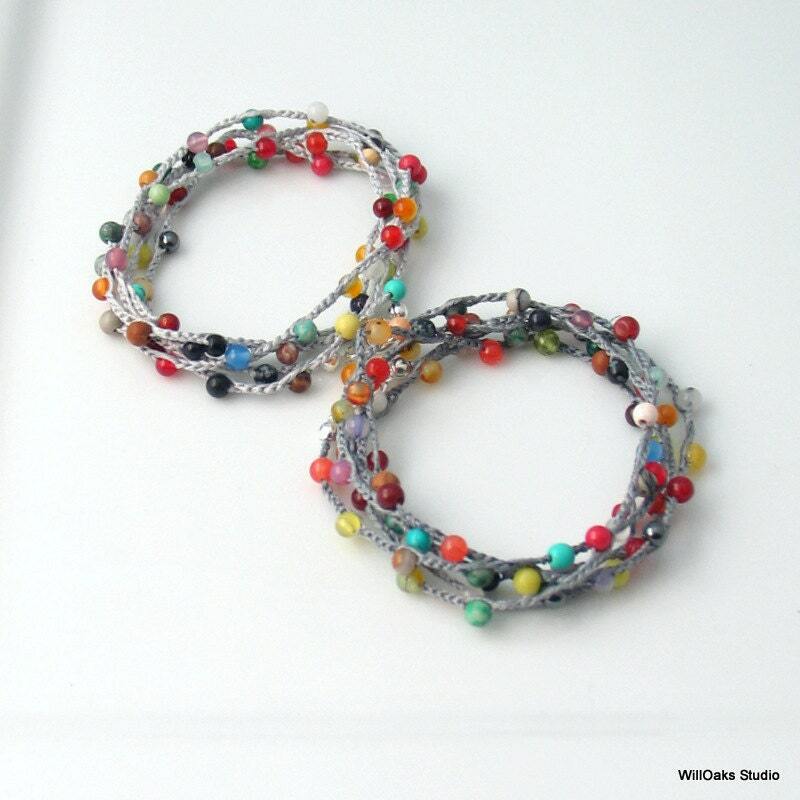 Coordinated hoop earrings can be added here http://www.etsy.com/shop/WillOaksStudio?section_id=12313922 and if you'd like a different color for the silk fiber base, please drop me a note and I'll try to match my fiber collection with your requests! 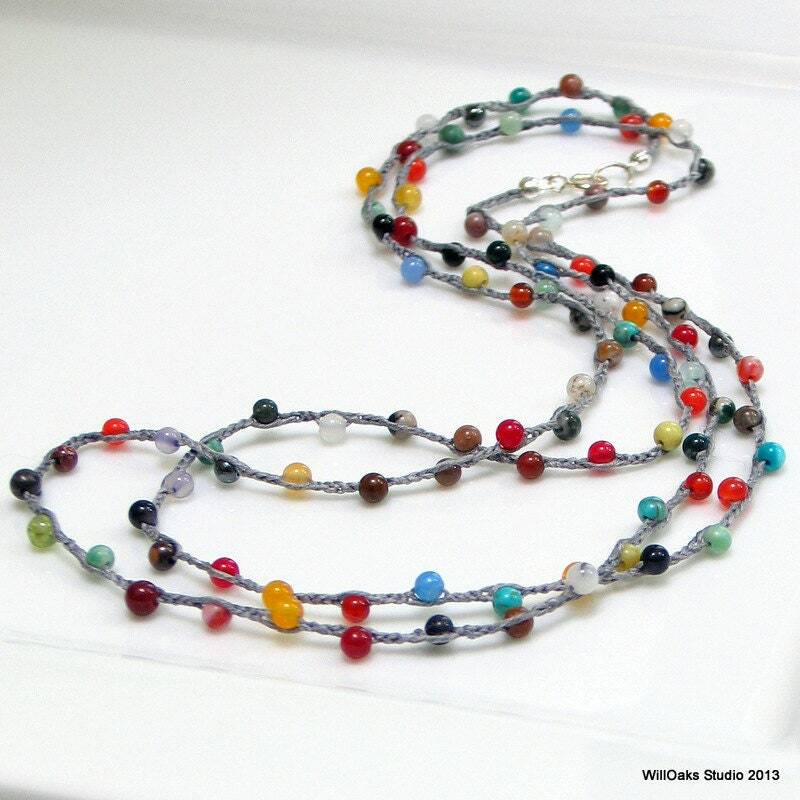 Each necklace has a slightly different bead mix so will be unique but all will have a similar feeling to the one in the photograph. Your piece is made to order so if you choose to order more than one piece from this collection together, I will take care to coordinate the stone mixtures. 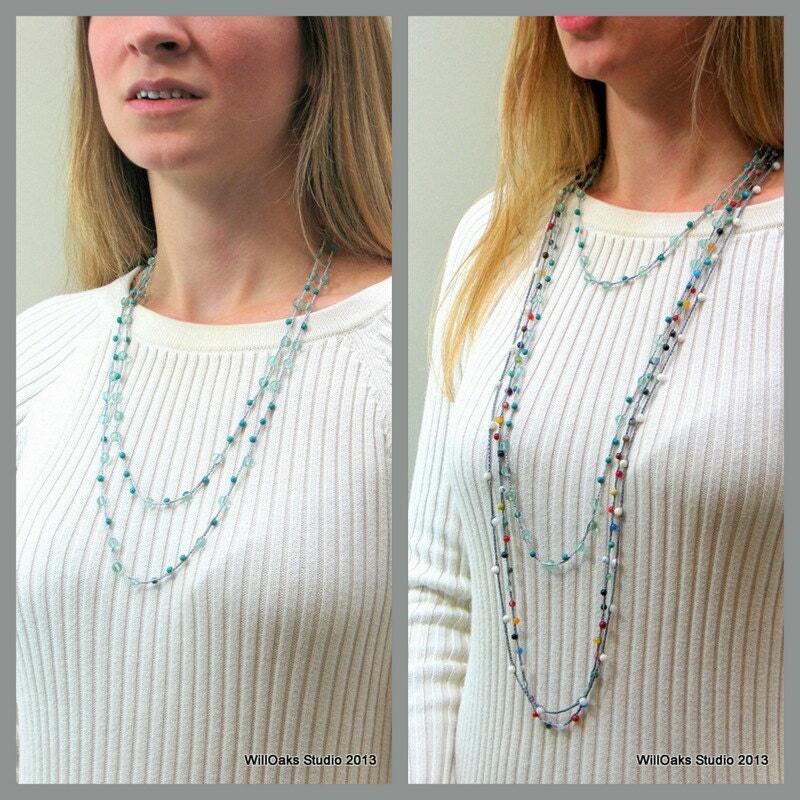 See the last image for possible effects if chains from my studio are worn together in layers. And please enter the front door of my studio here https://www.etsy.com/shop/WillOaksStudio & thanks for stopping by!